The 80s: When Mel Gibson’s characters were the ones who were crazy. Writing critically about Lethal Weapon would be a ridiculous, meaningless thing to do. Like umpiring a t-ball game or digging a hole in a swamp. But re-watching this tried-and-true cable TV actioner a few weeks ago, I was struck what a slick, well-built piece of machinery it really is. Like many films that helped launch a wave, its formula has been replicated, repurposed, twisted, and inverted so many times that the original is termed guilty by mere association with something such as Collision Course (Jay Leno and Pat Morita!) or Turner and Hooch (Tom Hanks plus dog). Recent evidence of Mel Gibson’s bizarre behavior has dulled his star even further, but he convincingly played a troubled individual in the film. (As Sinatra sings, “How little we know….”) The scene of his near-suicide in the first act is raw—even if a bit manipulative. Looking back, Danny Glover’s character seems to be inspired by the then-ubiquitous Cosby Show. But he’s the one who holds the film together and keeps it from collapsing into parody. Still, it’s all ludicrous, of course, from the Christmas music over the opening credits, to the Eric Clapton/David Sanborn soundtrack, to the bizarre notion that cops will free a murder suspect just to be able to battle him man-to-man and then shoot him anyway, for good measure, a sequence I never completely understood. 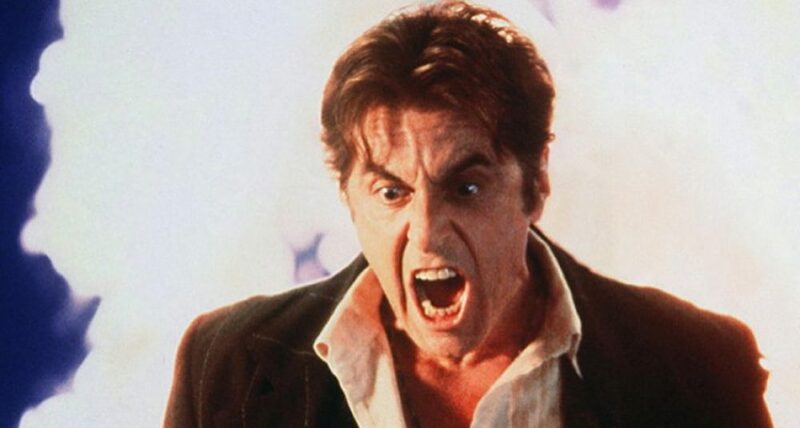 It wasn’t satisfying enough for Gibson to beat Gary Busey to a pulp? He had to be blasted away, too? “Yeah,” Glover growls after they gun Busey down, in one of the gruffest overdubs ever. It was a cartoon that winked at the audience, one that was laid-back enough to characterize itself as the “good guys” versus “bad guys.” (Remember the note after Gibson’s truck crashes through the wall of Glover’s house??) Screenwriter Shane Black would take this knowingness to a new level in his underrated Kiss Kiss Bang Bang, a favorite of mine. 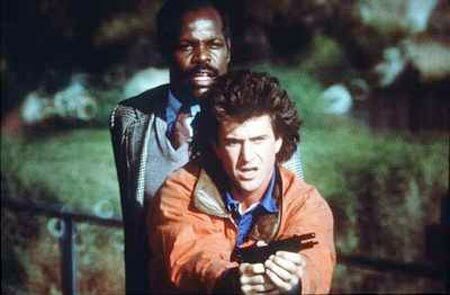 Lethal Weapon broke no new ground, but it was faster, louder, shinier, and more confident (like its close 1988 cousin, Die Hard) than others in its genre. I bought the movie and its three sequels for $9.99 at Target and am still not sure if I got ripped off. It’s like all-you-can-eat shrimp. Not necessarily a good thing. Unfortunately for Gibson, he’s less likely than ever to be remember for his box office heyday. POSTSCRIPT: I think these two guys beat Gibson and Glover to it. This entry was posted in Movies We Can't Turn Off, My DVD Shelf by James Oliphant. Bookmark the permalink.